According to an economic report published by the University of Maine in 2004, bear hunting in Maine generates about $65 million in economic activity each year. This includes scores of outfitters and their guides, who depend heavily on bear hunting to support their businesses each fall. It also includes all the secondary related expenditures and services that hunting generates within the overall economy: motels, restaurants, taxidermists, gas stations, convenience stores, general stores, shopping centers, etc. etc. Much of that economic activity occurs in Maine’s rural counties, where economic activity is low overall. Bear hunting directly supports 700 to 800 jobs, again primarily within Maine’s rural counties. With non-residents comprising 2/3 of all bear hunting activity in Maine, much of this infusion of dollars into Maine’s economy is drawn from outside our borders. 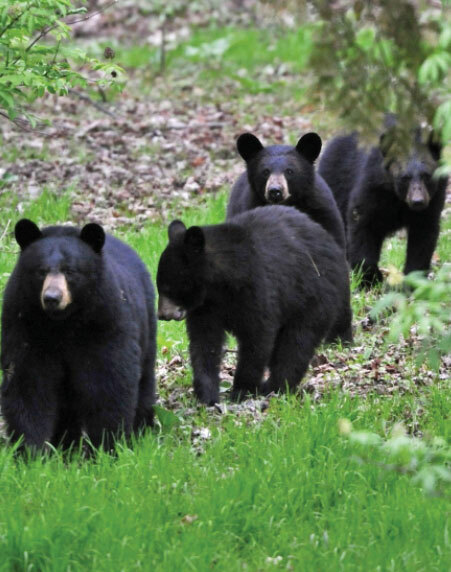 Bear hunting also supports a significant portion of Maine’s Department of Inland Fisheries and Game (DIFW) annual budget, through the sales of bear hunting permits and associated big game hunting licenses. These generate $1.06 million annually. If all of this revenue were used to match federal Pittman-Robertson funds, Maine bear hunting would contribute as much as $4.25 million to the Department’s $40 million annual budget. Passage of Question 1 would eliminate almost all the economic benefits that bear hunting currently brings to Maine’s economy. With bait, dogs, and traps banned, sales of bear hunting permits and big game licenses to nonresidents would plummet to near zero. Nonresidents have already nearly abandoned deer hunting during November in the northern half of the state, due to low deer numbers there. Sales of bear hunting permits to residents would also drop precipitously. The nearly complete loss of bear hunting activity caused by passage of Question 1, would eliminate more than 90% (about $59 million) of the economic activity that hunting with bait, dogs, and traps currently infuses into the Maine economy. Maine’s thriving bear population is an essential part of its economy, bringing over $60 million into the State’s finances yearly. Loss of this income would devastate rural Maine, severely handicap Maine’s DIFW, and eventually cost taxpayers millions to mitigate exploding bear populations and problems. This is exactly what has happened in every state that has banned bait and dogs. MDIFW photo. Many outfitters and guides who now depend heavily on bear hunting would be hard-pressed to remain in business; a number have already stated they would have to close their doors. Area businesses that derive a portion of their revenue from bear hunting, would also be negatively impacted. Question 1 contains absolutely no economic upside for Maine’s economy.